You must be a member of the Hong Kong Cycling Group to attend this activity. Would you like to join this group? That would be fun for anyone who looking for meeting someone sporty here . If you have bike you can bring it. Also , there is shared bike and typical bike rental shop in Tai Wai. 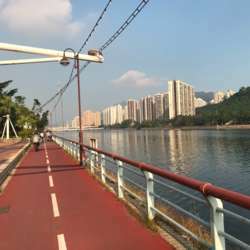 Tolo HarBour is a beautiful cycling path in Hong Kong. Keep an eye on for the update.